Pere and Ramón Bach settled in the Penedés region with the idea of making a wine that would be destined for aging and they consequently built a cellar that was 95 metres long. They then filled it with 1,000 Bordeaux oak barrels which they bought for 50 pesetas each. The Bach brothers conceived the idea for their wine and gave their stamp to it along with their enologists. They also delved into their textile background to give it a name and called it “extrísimo”, the name given to the premium quality cotton imported from Egypt and India. 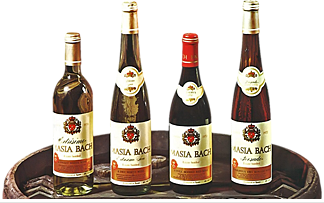 The first Bach bottles were present at the mythical 1929 Barcelona International Exposition. 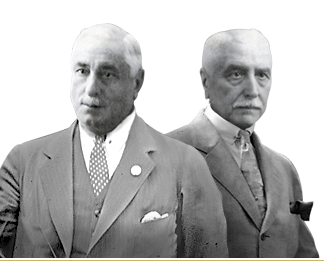 However, the Civil War dampened part of the splendour achieved by Bach in the roaring twenties and brought tragic consequences upon the family: Ramón was killed and Pere, who outlived the fighting, was very much devastated by this loss. A few years later, in 1942, he decided to sell the estate. 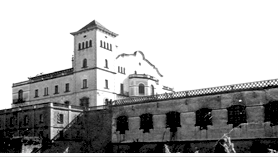 Over the following years, Bach changed owners on various occasions, who among other things, ordered the building of metres and metres of underground galleries for aging cavas whilst undertaking a commercial and enological overhaul of the winery. The winery changed hands once again in 1975 when it definitively came under the ownership of the Raventós family, which acquired the estate and incorporated Bach into its wineries group. A long time has gone by since then but the spirit of the Bach brothers has been faithfully maintained right up to this very day: quality, originality and personality in all its wines and cavas".